While the Tooth Fairy may be a myth in many households, the magic is very much alive for the little ones. February 28th was National Tooth Fairy Day and the PLAYMOBIL Tooth Fairy (5381) play set is excellent for children who are crossing the big kid threshold. At some time or another, all of us have been visited by the Tooth Fairy and although it may be a bitter sweet moment for adults, it’s a magical moment for kids. 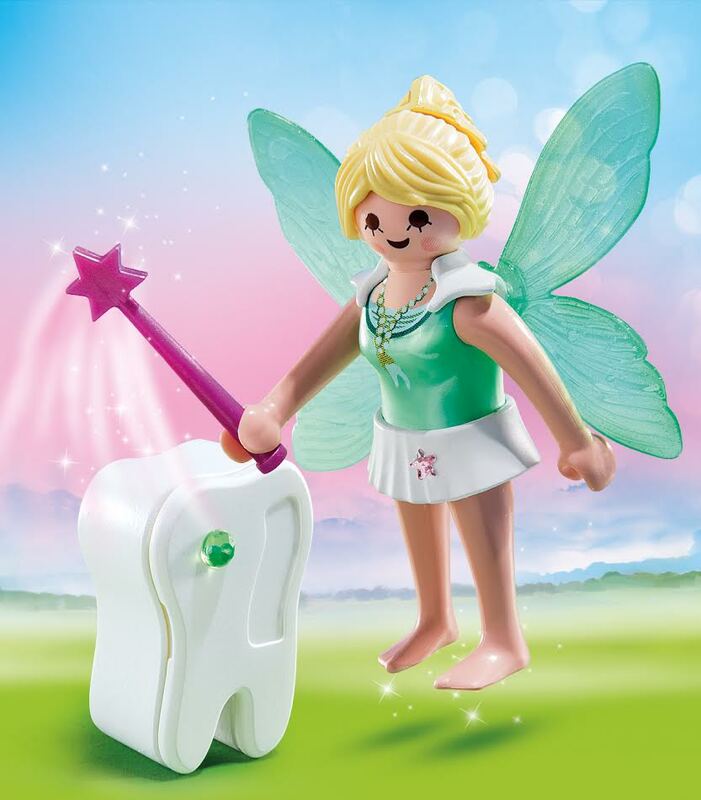 Perfect for that moment of tooth, the PLAYMOBIL Tooth Fairy set includes a customizable tooth box with a name tag and rhinestone for kids to slip right under their pillow. Set includes tooth fairy, wand, tooth box, name tag, and rhinestone. Recommended for ages four to ten. I love that the Tooth Fairy herself is rocking a cute tooth necklace! We currently have a tooth bag the kids hang on their doors, but I love that the box that is included with this set allows the owner to customize it! Customize the tooth box with the included name tag and rhinestone. Play with this set on its own or combine it with any other PLAYMOBIL set. Children can play with this set on its own, or combine with other PLAYMOBIL sets for hours of fun. This would make a great gift for any little one. Perfect for an Easter gift!